On the first day of CNY many Chinese. especially Cantonese, will go meat free. 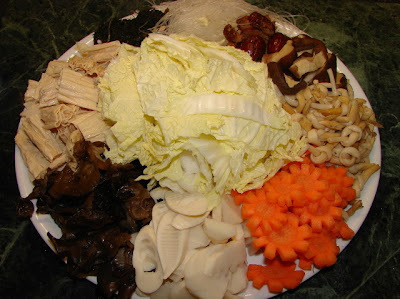 Many will cook an assorted vegetarian dish using dried vegetables, edible fungi, tofu products and fresh vegetables. 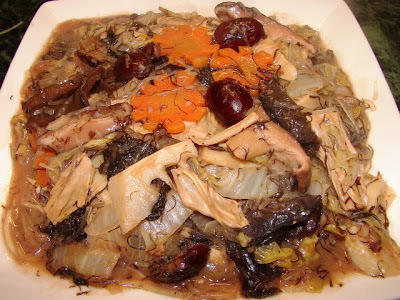 This dish is normally referred to as Buddha Delight or Monk's Vegetable, in Chinese is 羅漢齋 (lo han zai) or simply 齋菜 (zai choi). This dish is the custom in my family for this day every year. My mum would cook a massive pot of this waiting for us at around 5am in the morning, we would eat this for breakfast, lunch and dinner. I never get tired of it, sometime we also cook this other times in the year. Ingredients can vary depending on what are available at home and the season. On the first day of CNY, this dish is always special because mum would put in as many ingredients as she could get. After I moved to England, I would only cook this if the first day of CNY fallen on the weekend or if I had taken a day off work. There are some ingredients which can be hard to find over here than in the far east or limited at the Chinese grocery store near me. Here is one I cooked last Sunday. I normally eat a large bowlful of this on its own or with a little rice. There are so many ingredients all mixed together. 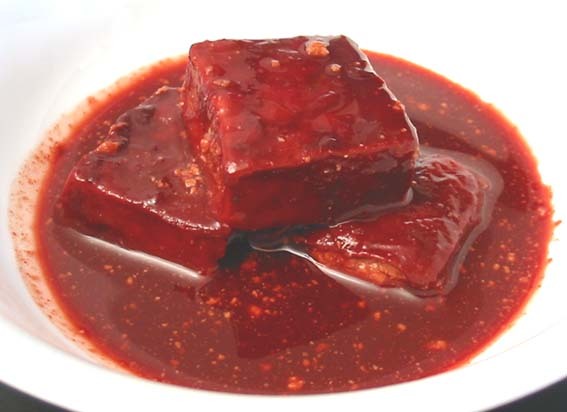 Every bite is different, different texture and different taste of individual ingredients, all amalgamated with a lovely red fermented beancurd sauce. 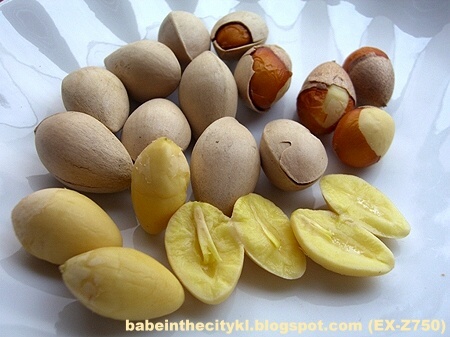 All dried ingredients, soak till softened using tap cold water. Shitake mushrooms and bean curd sticks will take the longest. Do soak them for 1 - 2 hours till softened. Others will take about 20 - 30 minutes. Reserve the soaking water for shitake mushroom. Here is a picture of all ingredients (including fresh ingredients) soaked, cleaned, cut and prepared. The amount shown will make quite a large pot enough to feed 5 - 6 people. Heat oil then add garlic and shallot and fry for about 2 minutes till fragrant. Then add mashed fermented beancurd and stir for few minutes till fragrant. 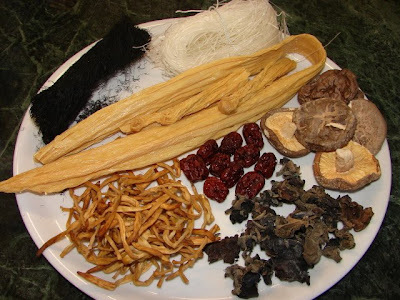 Add cloud ears, carrot, Chinese leaf, lily bud, red dates and bamboo shoots. Stir, lid on and simmer for around 5 - 6 mutes till vegetables are tender. Add more water if required. Season with enough light soy sauce. Add the remaining cellophane noodles and fatt choi. Split them up as you put them it. You need quite a bit of liquid for the noodles to absorb while they cook. If not enough add more water. Stir and cook for about 2 minutes till bubbly hot, do not cook too long or the noodles will be very soft. Then thickened with slackened cornflour, and lastly add enough sesame oil and ground pepper to taste. Always add in the longest to cook items first then the rest, can add in stages. Every family has their own recipe and what ingredients they like most or must have in this dish. This recipe I have shown you was how my mum and now I would cook this. There are people who also like to add dried oysters and oyster sauce, we never do in my family IMO it's not vegetarian anyway. Found your blog only recently, looking forward to reading more. Thank you for the feedback, Deb. Look nice on you blog. 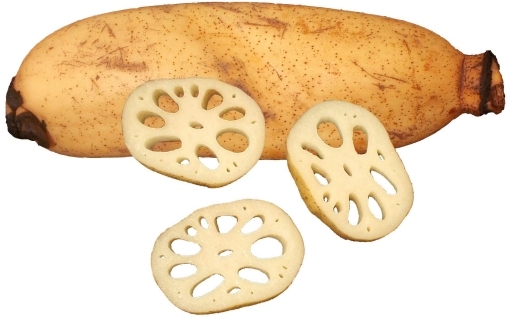 With the lotus root, my instruction wasn't clear, slice as paper thin as possible (easier to use a mandoline) and it will cook faster and still crunchy, if it very thick cut each slice into half or quarter. Hi Sunflower, thanks for that, will try the lotus root with the mandoline next time.